London 2014 IMATS that's coming up this weekend. I'm going on the Saturday - a.k.a. the best day to go when everyone is there & none of the stalls have started to run out of stock. 2. Have you ever been to IMATS before? I went to IMATS last year - the post about it is here - & had an amazing time but I was really too shy to talk to anyone. Plus I was still in my manual chair so I struggled to get around so I had to get my mum's help getting around a lot of the time. 4. Are you bringing anyone along? 5. Is there anything else in the IMATS host city that you want to see? There is so much I still want to see in London, I've been to London less than 10 times ever so I obviously haven't seen everything. However this visit is purely about going to IMATS, I'll save exploring for when I visit my brother at uni (he's going to be studying in Wimbledon from September). 6. 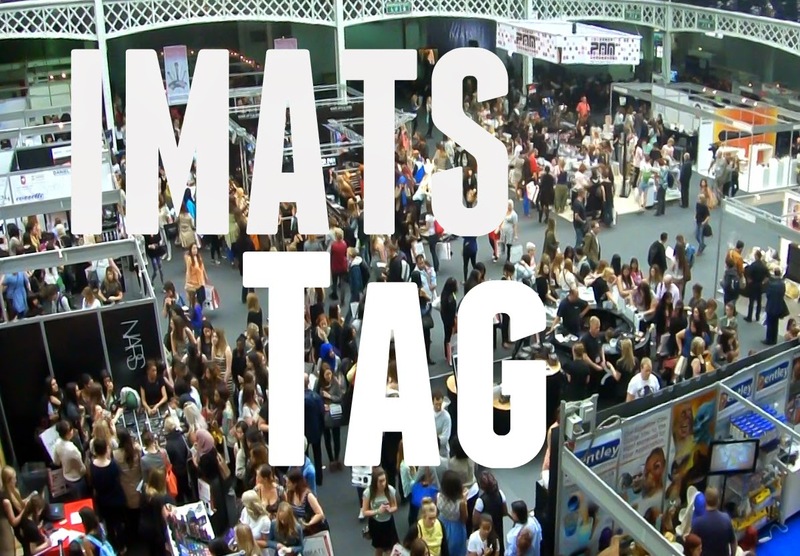 What days will you be in the city that IMATS is in? Last year I saw KlairedeLys & was too shy to speak to her, same for all the bloggers/youtubers I saw. This time I would like to actually speak to them & properly chat to Nicky's Beauty Quest this time. I was again too shy to properly chat last time. 8. What company’s exhibits are you most excited to see? I'm trying not to plan too carefully but I want to get a blush brush, at least one of the Makeup Forever Cream Blushers, a few more Hakuhodo Brushes, a few lip liners & the new tarred & feathered lip product from OCC. Okay so maybe I am planning...I would like to get a few spontaneous purchases though. Makeup? Also learning about makeup & chat &...I don't know..... The experience. Last year's IMATS was one of the best things I've ever done & the experience really pushed me to keep doing things despite the M.E. Hi, I love your blog and you are beautiful. I hope you enjoy IMATS, I would love to go! I have started following you with Bloglovin. If you ever get a chance to check out my blog I would be delighted, thanks! Ahhh so fun! Have an amazing time! That sounds like an interesting event, I hope you have a lovely time!! I hope you get to go next year :) I'll hopefully see you there.